Born and raised in Dublin, Ireland, Celine Kiernan has spent the majority of her working life in the film business. Trained at the Sullivan Bluth Studios, her career as a classical feature character animator spanned over seventeen years. She spent most of her time working between Germany, Ireland and the USA. 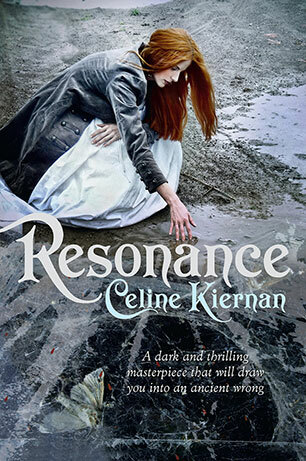 Celine wrote her first novel at the age of eleven (it was excruciatingly bad), and hasn't stopped writing or drawing since. She has a peculiar weakness for graphic novels as, like animation, they combine the two things she loves to do the most: drawing and story telling. 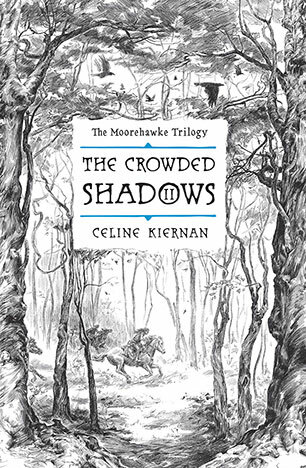 Her popular Moorehawke Trilogy has been internationally acclaimed. Ghosts: sentient echoes of the hidden past. I have always been fascinated by the stories people keep from each other: the things we won’t tell and the histories we don’t discuss. I'm most especially fascinated by silences that are maintained (or enforced) out of the belief that forgetting is the best for everyone - as if ignorance of the past can ever help ensure a better future. These self -imposed silences exist everywhere. Mankind is always suppressing its own history-- or reshaping it in the telling. On a domestic level, many people go about happy lives blissfully unaware of the family dramas that have preceded them, the memories of which have been purposefully and tacitly consigned to silent cupboards and 'forgotten' by those involved. But silencing the past doesn’t always kill it. Sometimes the past seeps up through the cracks, like pollution in the ground water, often to the discomfort and despair of later generations. Emotional residue, social tension, instability: regardless of wether their origins are understood or not, these things can remain. Ghosts are like walking scraps of such unwanted history. Pressing themselves into the world of the living, they intrude into the silence of the older generations. Unignorable and unavoidable, they force us, for better or for worse, to face our past. They demand that things long broken be fixed, or maybe just that they seen, recognised, and accepted as true. In my books, this forced unearthing of buried conflict or pain can often come at a price for the innocent members of the present generation. It can be uncomfortable, even damaging, to be made fully aware of the truth. The age-mellowed grandfather or kindly mother may have - in other, younger, circumstances - been less than gentle, and worse than ruthless. The deeds performed, in war, in poverty, the sadnesses lived through, may indeed have been be better left alone. 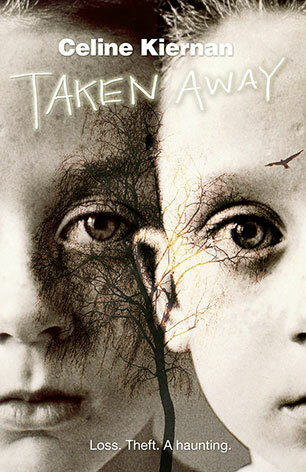 But - in my books - ghosts have no choice about telling the truth; they are nothing but the truth. They are the past crystallised, the very essence of never having moved on. Regardless of the consequences they cannot help but drag everything out into the light. Sentient echoes of the hidden past they will continue to sidle and creep and badger and wail, until the living are forced to turn and look and - for better or for worse - recognise them for what they are. A dark and thrilling tour de force about three young people drawn into righting an ancient wrong. 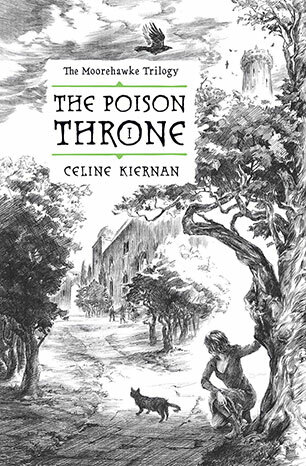 The gripping finale of the addictive romantic medieval trilogy that began with The Poison Throne and continued with The Crowded Shadows. 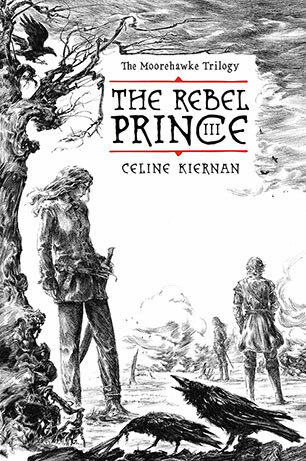 In this explosive sequel to The Poison Throne, Wynter Moorehawke travels unprotected in bandit-infested mountains, searching for missing Prince Alberon. But how many of the King's enemies are lurking in these crowded shadows? A friend. A father. A kingdom. Which would you sacrifice? Meet fifteen-year-old Wynter Moorehawke - Protector Lady, qualified girl apprentice in a man's trade, former King's Cat Keeper, and feisty heroine of The Moorehawke Trilogy.